Held at the NC Maritime Museum, the 34th Annual Wooden Boat show offers a variety of small boats, boat rides and a wooden boat building competition, the 34th Annual Wooden Boat Show begins today, April 27th. This week long event is held in downtown Beaufort through May 3rd. This Crystal Coast town will be the “main harbor” for this weeks maritime activities. This isn’t Your Typical Beach Souvenir Shop! 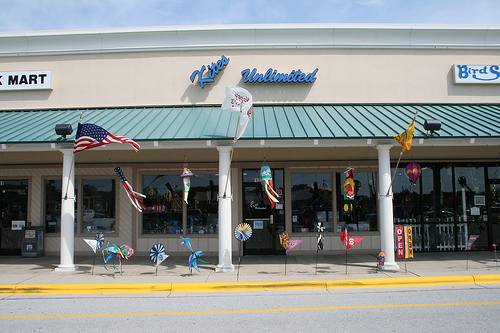 If you’re looking for a funky selection of slightly eccentric “island-themed” home and fashion accessories, you owe it to yourself to stop by this neat little boutique on your way to Indian Beach from Emerald Isle. 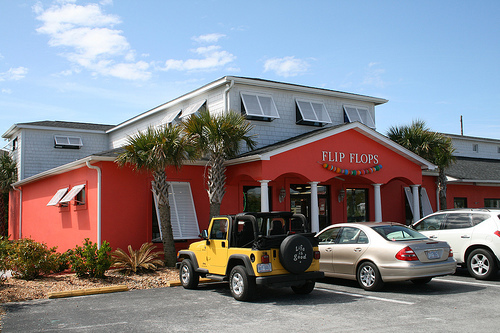 With an adjacent convenience store and gas station, Flip Flops is owned by Ms. Marcie G. Creech (FYI-Marcie is NOT associated with the Crystal Coast Blog). Marice has one of the finest collections on the island for home accessories including painted “beach-themed” furniture. Utilizing local Carteret County artist, including Shirley Pittman and works by Gwen Jordan, their pieces will spice up any room in your Crystal Coast home. One other NC artist that offers some really interesting work is Deborah Cavenaugh from Wilmington. These Buoys Will Make You Happy! 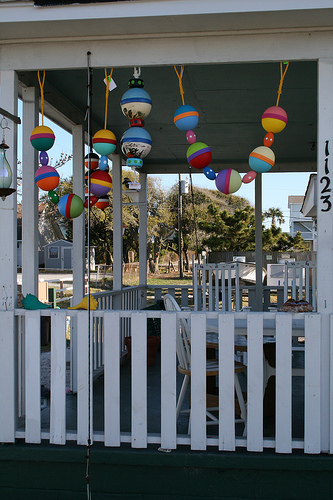 No doubt, you have seen those brightly painted chains of buoys strung on numerous decks and porches on the Crystal Coast. We stopped by the home of Sue Frost the other day and had to take a look at her incredible collection of colorful hand painted buoys. Sue and her husband are the creative geniuses behind Porch Buoys by Sue and their business is located across from the Crab Shack on Salter Path Road (Hiway 58) in Salter Path. Offering various lengths of buoys, these beautiful works of Crystal Coast art will brighten your deck, porch or any area of your home. 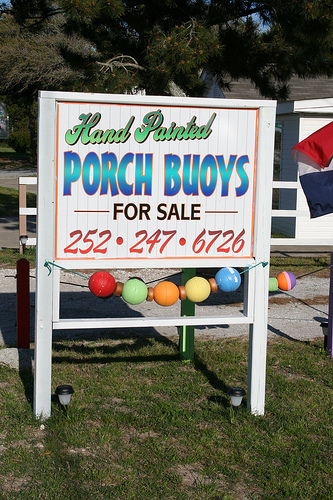 For more information on Porch Buoys by Sue, give her a call at 252-247-6726 or email at sales@porchbuoys.com. Sue ask you allow 10 business days for delivery. Be sure to contact Sue with any questions or special orders. You must add $12.OO for shipping and handling. We offer this information without compensation and trust you will support the local artist in the Carteret County area. If you have read my recent post, you can tell I find it disturbing that parts of our coastal heritage are disappearing right in front of our eyes. One only has to look back at these special places that are no longer on the Crystal Coast for us to enjoy. 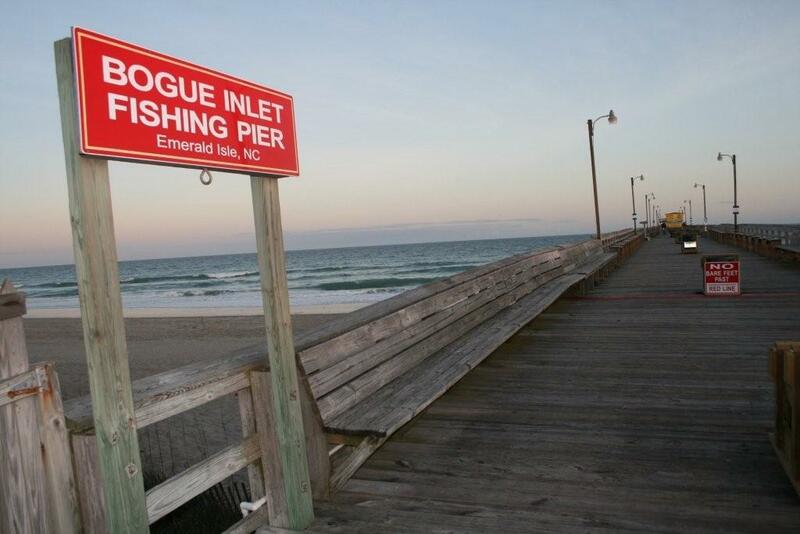 No longer can you take your son or daughter to fish off Crystal Coast fishing piers like the Triple S Pier torn down in late March 2008 or the Iron Steamer Pier torn down in early 2005 to make room for ten single-family beach homes. A trip to the Crystal Coast beaches is a treasure in itself, soft sand between your toes, the sound of the waves against the shore and warm ocean breezes. With a little effort you can find treasures that often get overlooked.